Dr. Billy McCann Sr. started this practice in 1965 and was joined by Dr. Wes in 1993. Dr. Billy and Dr. Wes practiced together until 1998 when Dr. Billy experienced an injury to his hand causing him to redirect his energy from private practice to a teaching and administrative role at the University of Tennessee College of Dentistry. He spent several years as Professor and Interim Chairman of the Pediatric Dental Department at the dental school before retiring in 2015. Dr. Billy W. McCann Jr. (Dr. Wes) was born and raised in Memphis. After graduating from Memphis University School, he acquired his bachelor’s degree in Microbiology from Mississippi State University in 1985. He received his Doctor of Dental Surgery (D.D.S.) degree from the UT College of Dentistry and Masters of Science (M.S.) degree in Pediatric Dentistry from Ohio State University. Along with private practice, Dr. Wes is a clinical instructor in the Dept. of Pediatric Dentistry at the UT College of Dentistry. 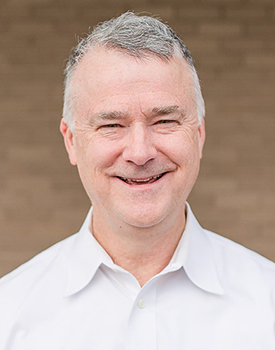 He is a board certified Pediatric Dentist by the American Board of Pediatric Dentistry, a Fellow of the American Academy of Pediatric Dentistry, a member of the American College of Dentistry, and is serving as President of the Memphis Dental Society. He and his wife, Marianne, have been married since 1985 and are active members of Second Presbyterian Church. They have four sons: Wes, Luke, Austin and Clay and two grandsons: William and George. Amy has worked for Dr. McCann since January of 2007. 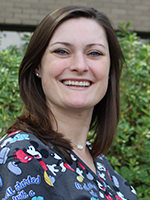 She is a registered dental assistant that transitioned to front office after the birth of her first child; She still helps in the back when needed! Amy and her husband Byron have two boys, Eli and Austin. She enjoys eating at local Memphis restaurants, watching Georgia football and spending time with her family. 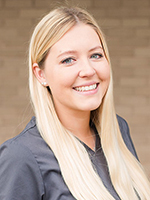 Alexis started working for Dr. McCann in August of 2018 when her fiancé, Heath, started dental school here in Memphis. Alexis grew up in Shanghai, China and has dual citizenship with the United Kingdom and the United States. Alexis enjoys cooking, food-blogging and playing with her English bulldog, Hobbs. 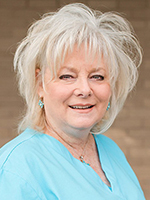 Debby has worked at McCann Pediatric Dentistry for 30 years! She worked for Dr. Billy until he retired and continues to work for Dr. Wes. She and her husband, Joey, have a daughter, Rachel, who lives in Connecticut and a son, Ty, who lives in Nashville. Her youngest, Mac, is a Pitbull rescue who still lives at home. She enjoys visiting her children, shopping for antiques and college football. 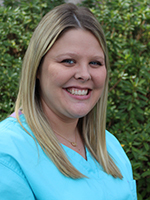 Kayla has worked for Dr. McCann since November 2014. She met her husband through go-cart racing! They are expecting their first child (a girl) in June of 2019. Kayla still loves racing, watching Dallas Cowboys football, and playing with her dog, Cash! 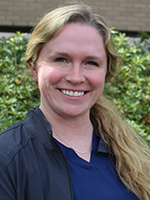 Jessi began working for Dr. McCann in 2017. She and her husband enjoy riding Harleys together and have two children. She also loves watching Memphis basketball and playing with her two bunnies, Fred and Louie! Lindsey joined the team here in January 2019. She grew up here in Memphis. 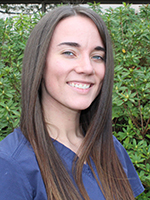 She has been a dental hygienist since 2013 and enjoys getting to know her patients. She is a proud dog mom. Lindsey enjoys trying new restaurants with friends and recently started a new blog to talk about her love of food, and other lifestyle topics.